CHEAP! Flights from Pittsburgh to Aruba for only $89 one-way or $217 return! Great deal! Fly Delta from Pittsburgh to Aruba for only $89 one-way or $217 for a roundtrip! Set out on a journey to beautiful Aruba! The Caribbean sea will impress you with its crystal clear water, great beaches and tropical nature! This is definitely a nice place where you can hide away from your daily routine! In Auba we encourage you to stay at Arubiana Inn Hotel Aruba. The hotel is just 800 m from Eagle Beach, and offers an outdoor pool, a sun terrace and stylish rooms with free Wi-Fi. Palm Beach is a 5-minute drive away. Decorated in a bright Caribbean style, rooms at the Arubiana Inn feature a fridge, microwave and kettle. All rooms include a TV, telephone and safe. 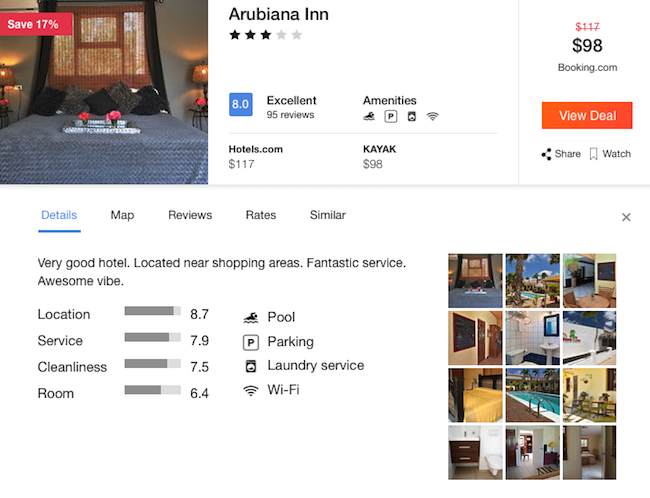 The Arubiana Inn Hotel has a tour desk, where staff can arrange car hire and provide information about Aruba. Free public parking is available on site. There is a supermarket around the corner from the hotel, while restaurants, shops and bars can be found in Palm Beach. Central Oranjestad is a 15-minute drive away, while Reina Beatrix International Airport is a 20-minute drive away.